various singers & dancers by making their videos viral over Internet. Some of them are Siddharth Mohan, Himani Kapoor, Arjuna Harjaie, Vanit Bakshi and many more. The song “desi desi na bolya kar” sung by MD KD, Haryana’s star, is now a days being treated like an anthem by all the haryanvi’s and desi people. The song has become viral over internet as it is now on everybody’s mouth as well as in every desi’s heart. Sociopool is proud to be associated with amazingly talented people like MD KD. I Am Desi World is a band of amazingly talented people that thrives on creating original music.It’s a bond of intellectual and musically sound artists that creates Haryanvi songs & Mashups which becomes everyone’s favourite. Their music is refreshingly original, exciting and are being played on DJ the most. Recently they published Haryanvi mashup 5 which crossed 1M views in One day. Chhora Zamidar Ka and Gudgaame wali are their recently viraled songs on YouTube. Sapna chaudhary needs no introduction as she has become the most famous singer and dancer of the Haryana. She has grabbed the attention of everyone with her attractive videos. Her each and every song has become the most wanted track in parties. Sapna is one of the the most demanded stage performer in Haryana. 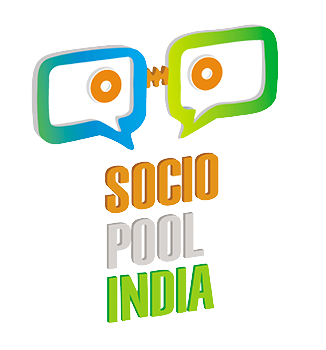 Sociopool India feels proud to get connected with Vicky Kajla one of the prominent figure in music industry. Vicky Kajla Has been Awarded The Best Haryanvi Artist 2016, PTC Artist Award, Haryanvi Award 2016. He has won Millions of Hearts by his Diverse Singing style and his amusing talent. His Recent Song Gangwar with Bawli Tared is creating a buzz all over the industry. Siddharth Mohan is a singer, composer, lyricist, guitarist and a flute player by passion has been performing in over 20 countries.His melodious voice and charismatic personality has an ability to capture the hearts of audience of all age groups. Siddharth Mohan is truly a “youth icon”, who has mesmerized one and all with his awe-inspiring voice and humble nature. Himani Kapoor is an Indian singer and finalist of Sa Re Ga Ma Pa Challenge 2005.Himani Kapoor is the hottest vocal sensation in town. She is a young musician and vocalist who has already managed to create a place for herself in the music scene.She is a heart stealer when it comes to her live performance as she is an international popstar. Arjunna Harjaie is an Indian composer, singer and musician working in Bollywood. He directed the kaavaan kaavaan song of Lucknow Central movie. Arjunna gifted with a beautiful singing voice and his ability to sing any style of music makes Arjunna a unique and versatile artist. A powerhouse of energy on stage with his pitch perfect singing and dominating stage presence. vanit bakshi is a multi talented personality…who is not only a singer ,but also a composer and writer ,is a man of great honour, blessed with a melodious voice he can make any heart sing. Does creative works which are easy to impress the listners. Udit has gathered praises everywhere and mesmerized his audience with his Charming and Husky Voice.A musician with a sense of humor to engage listeners. Playing sing-alongs with no genre restrictions. Been around for a while, but definitely give a different touch to songs already heard before. Rohit is a Singer, manifested with qualities, Writing & self composing music. With the increase in knowledge & talent in this field Rohit made music his life and has made his way towards a bright career in music. Singing has always been her passion and she want to connect to more and more people through music.She is a multi-talented young artist who has steered the spirit of creativity and technique into a beautiful blend.